Police captured yesterday a motorcycle-for-hire driver believed to be involved in the shooting of foreign nationals inside a fast food restaurant in Talisay City. The Cebu Provincial Board (PB), meanwhile, has requested Cebu 1st District Rep. Raul del Mar to revive his bill to create the Metro Cebu Development Authority (MCDA), which would handle urban problems like traffic, garbage disposal and pollution. According to the National Union of Students of the Philippines (NUSP), around 400 schools nationwide, including two universities in Cebu City, are planning to hike tuition and other school fee for the next school year. The Land Transportation Franchising and Regulatory Board (LTFRB) wants “pink jeepneys” to be plying the roads of Cebu and other provinces in Central Visayas soon. Are you planning to buy a house? How about investing in one? Primary Homes, which sponsors the Cebu News Digest, prides itself as being “your reliable partner” in building your dream home. In Liloan, it has Garden Bloom Villas, “a peaceful community developed with family-friendly amenities.” Garden Bloom Villas is a five-hectare residential community with about 400 houses in Brgy. Cotcot, Liloan. Check it out in the company’s website. 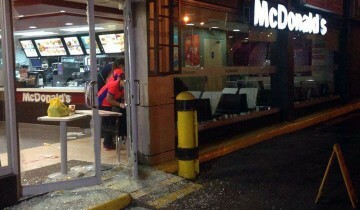 According to the Police Regional Office (PRO) 7, members of a drug trafficking group whom foreigners had an argument with could be behind the shooting that killed Henry Haffner, a German industrial engineer, and wounded Julian Millard, a French tourist, and Cheten Saparaiya, an Indian businessman, inside a fastfood outlet in Talisay City last week. The capture of Roger Cal, 40, inside his house in Ruiz Compound, Barangay Tabunok, Talisay City, brought the number of arrested suspects to three. Police have so far secured one confession. Police say six people were involved in the shooting and Cal served as an accessory to the crime. Cal denied his involvement. Seized from Cal was a .38 revolver with three live bullets. Police also presented yesterday Ricci Edwin Ramirez, 21, a trisikad driver and the second suspect who was arrested last Saturday afternoon in Sitio Neighborhood, Barangay Tabunok, Talisay City. A February 9 resolution sponsored by PB Member Arleigh Sitoy asked Cebu City congressman Raul del Mar to revive his bill creating the Metro Cebu Development Authority (MCDA) to handle problems like traffic, garbage disposal and pollution. Sitoy says traffic has become “a great frustration” among Cebuanos. “Agencies such as the Land Transportation Office and the Land Transportation Franchising and Regulatory Board exist…but a more focused and more responsive body is crucial,” part of the resolution said. For Cebu City Mayor Michael Rama who has long been in favor of the bill’s approval, the creation of the authority is in line with the thrusts of the Metro Cebu Development Coordinating Board (MCDCB) and its Mega Cebu 2050 vision. The MCDCB has identified “metropolitan management” as one of the strategies to solve problems on traffic, waste management, poverty and other challenges in making Cebu more livable, more competitive and more sustainable. CEBU HEADLINES. The front pages today of Cebu’s English dailies. Based on the latest data by NUSP’s Tuition Monitor Network, proposed increase of tuition reached 13 percent while proposed ‘other school fees’ increases went up by 20 percent. But the rate might change as reports of increases are still coming in. In the NUSP partial list of schools proposing for tuition increase, University of San Carlos and the Cebu Normal University cropped up. The Commission on Higher Education (CHED) 7 said that some schools are processing their requirements for tuition free increase, but they cannot give any further information since the proposals set by institutions have not yet been approved. LTFRB urged public utility jeepney operators and drivers to have “pink jeepneys” to cater to senior citizens, women, children and persons with disabilities, which are very helpful during rush hours. They also signify men’s culture in the Philippines as gentlemen. Last week, pink jeepneys were launched in Manila where 20 units of these are already operating. The same fare will be adopted for the specially-colored vehicles.